Ohio-based design studio Zukun Plan has a plan for every parent who has ever been frustrated with their kids taking over their computer. 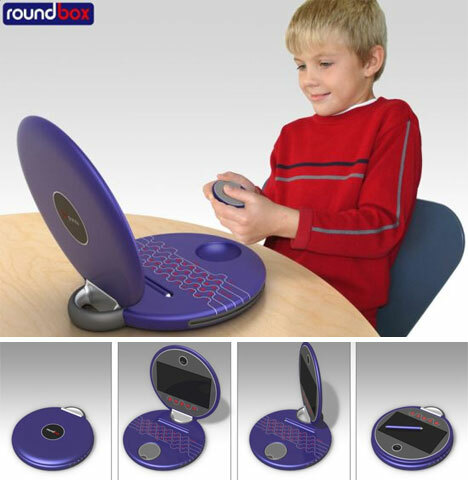 The Roundbox is an all-in-one entertainment and learning machine; it combines the functions of a TV, DVD player, video game console, digital camera, and laptop and tablet computer. It’s all wrapped up in a kid-friendly design that’s both easy to carry and simple to use. Unlike those clunky stand-alone portable DVD players or single-function gaming systems that clutter up the car on long trips, this one machine does pretty much everything a kid in the 5-14 age range would want it to do. They can play movies, take pictures, play games, draw, and do all of the normal computer stuff. 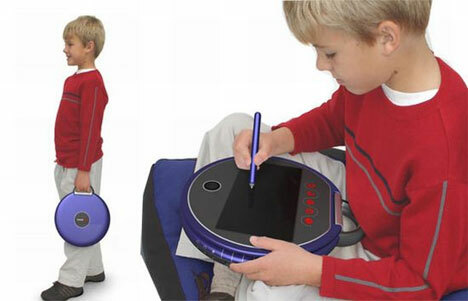 But a couple of the design features are very cool, especially for a kids’ product: first, the screen can rotate and then close, creating a tablet computer that can be held on the lap. 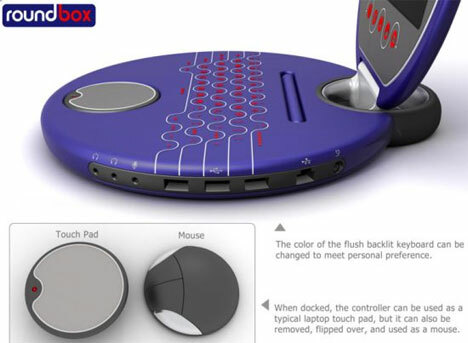 Also, the touch pad can be left in place on the computer’s body and used like a regular touch pad – or it can be removed and used as a mouse. Kids can choose which input method they’re most familiar with: the touch-sensitive screen, the touchpad/mouse, or a stylus. The layout of the computer itself is simple, featuring five buttons that switch between the different modes of operation. The backlit keyboard is flush with the computer’s body, preventing any unfortunate clogging of the keys from Cheeto dust, and the color of the backlight can be easily changed to suit the user. There’s no word yet on pricing or a release date, but we can definitely see the Roundbox being the next big holiday toy that everyone wants. See more in Computers or under Gadgets. April, 2010.